The best New Year’s Eve Seattle has ever had. 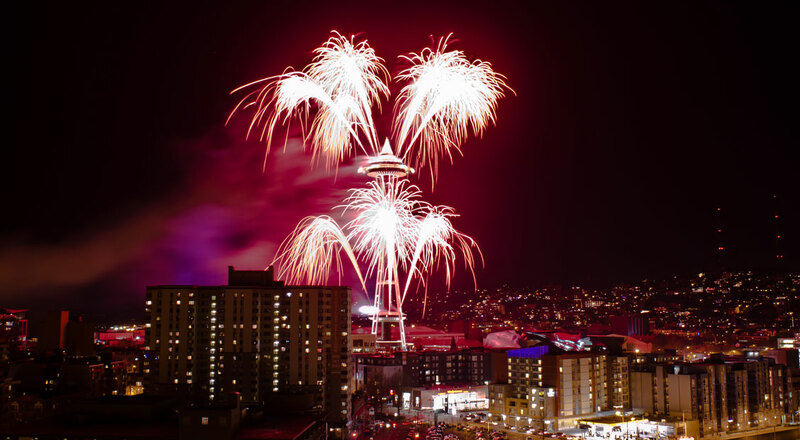 New Year’s Eve in Seattle is like nowhere else. Whether you welcome the new year while laughing at the city’s finest improv, or dancing in time with some of the best DJs in the world, you’ll be doing it Seattle style. Dance away 2014 to the sultry sounds of tango in Ballard’s Oddfellows Hall. The masked social dance begins at 9:30, with a tango performance at 11pm. An evening of murder, mystery, and magic! Solve the crime during dinner, and enjoy the stunning performance by Nate Jester, award-winning Seattle magician and former act on America’s Got Talent! With 5 parties, 4 entertainment areas, a live comedy theater, and over 25 bars, this massive annual Seattle party is truly a night of indulgence . This is Seattle’s only fast paced comedy improv battle with 20 improvisers split up into 4 teams and scored with cards marked 0-5 by the audience. Xtreme teams will perform from 10pm to almost midnight when the countdown begins. A NEON New Year’s Eve show featuring Nite Wave, The West and DJ Indica Jones, at Fremont’s one and only Nectar Lounge. 25+ New Year’s Eve events in and around Seattle.